In the final update to The Vault’s awesome freebie system you can now get 13 (Thirteen) FREE seeds from some of the planets finest breeders! Spend big and get rewarded bigger! 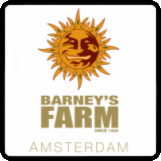 All orders, regardless of value can choose a FREE Barneys Farm seed! Spend over £50 and get the above plus you can choose a FREE Sweet Seeds ® seed! 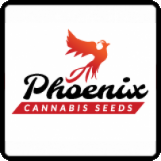 Spend over £200 and get all of the above plus 10 FREE seeds from the Phoenix Seeds range or 10 FREE Jack 47 Auto ® from Sweet Seeds ® . It doesn’t just end there buddy! Don’t forget this is on top of all the other promos running on the site such as the Royal Queen Seeds promo where you will get 1 free seed with every pack of 3 purchased, 2 free seeds with every 5 pack purchased and 3 free seeds with every 10 pack purchased or the Sweet Seeds ® offer where every pack of 3 purchased will come with another free seed and every pack of 5 purchased will come with 2 free seeds! The Vault elves are currently working real hard to add even more on purchase freebies so go on and have a browse and place your order today at The Vault and have a cart positively busting at the seams with tons of freebies from the best breeders. 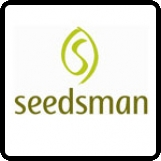 All free seed offers are subject to availability and if we happen to run out of any free seed we will substitute your choice for a similar strain with a similar price range. Remember: It is illegal to germinate cannabis seeds in many countries; therefore, it is our duty to urge you to obey all of your local laws. The Vault only ever sells or sends out seeds for souvenir, novelty or collection purposes. 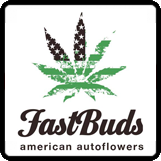 Special Offers, The Vault Cannabis Seeds barney's farm, FastBuds, Phoenix Seeds, Seedsman, Sweet Seeds, The Vault. permalink.